I've written before about linearity in gaming and how it isn't necessarily the bad thing that many believe it to be. The gist of that article was that when done right, both linear and nonlinear games can be fun and good games. Rather than one style being "good" and the other "bad", they're more like different subgenres which can be more or less fun based on one's own personal preference. I also wrote that I believe that much of the hate directed toward so-called linear games occurs when said games break the expectations of fans and diverge from the style of previous games in the series. The situation with 3D Mario games is much the same way. Super Mario 64 brought Mario into the 3D world in the form of an adventure-platforming game. The platforming from Mario's 2D days carried over, but now there was also an emphasis on exploring large, open levels in search of stars. In many cases, each level's multiple stars could be found in any order and through a variety of paths by utilizing Mario's new repertoire acrobatic moves. In some cases, the star would only be available when it was selected upon entering the level, causing minor changes in the stage. Out of all the 3D Mario games, Super Mario 64 placed the biggest focus on adventure and exploration. Since then, each game in the series has shifted the focus little by little, back towards Mario's roots of linear platforming. Super Mario Sunshine retained Super Mario 64's wide open levels, but had more objectives that required level altering changes, which resulted in most cases in a set order within each level. 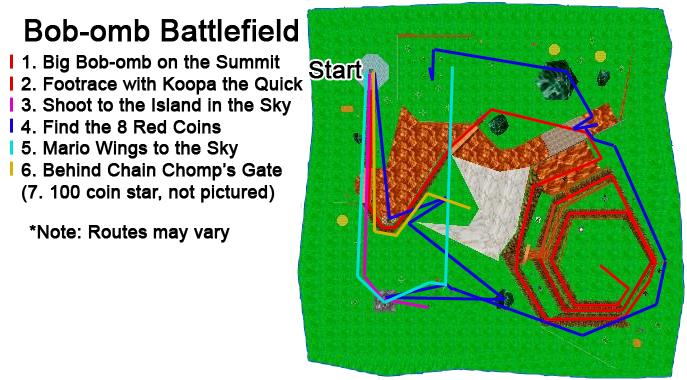 It also expanded upon Super Mario 64's pre-level hints by showing a short video of the goal's location, thus reducing the amount of exploration required. 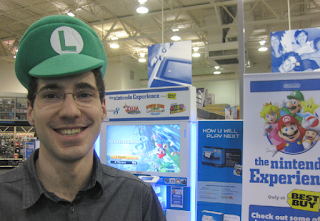 The Super Mario Galaxy games took Mario even further in the direction of linearity by mostly having levels that were less open and explorable, but which had clear objectives and focused platforming. 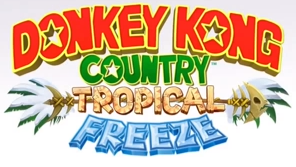 Finally, Super Mario 3D Land and Super Mario 3D World are the culmination of these trends, retaining no semblance of the adventure genre and focusing entirely on 3D platforming. But this isn't a bad thing. 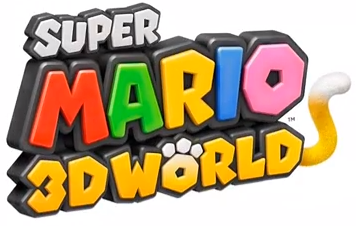 Yes, it differs from what fans of Super Mario 64 expect from a 3D Mario game and leaves a void of first party adventure games, but that doesn't mean that the new style of 3D Mario is "bad". In fact, this more linear 3D interpretation of Mario's 2D roots brings with it some advantages over the adventure focused games in the series. The truth is that both kinds of 3D Mario games have their pros, cons, and differences that are neither good nor bad except within one's personal preferences. One advantage of linear level design is that the objective is clear, though this is also a matter of personal preference. What is described as "exploring" by some players could be described as "wandering around" by others. 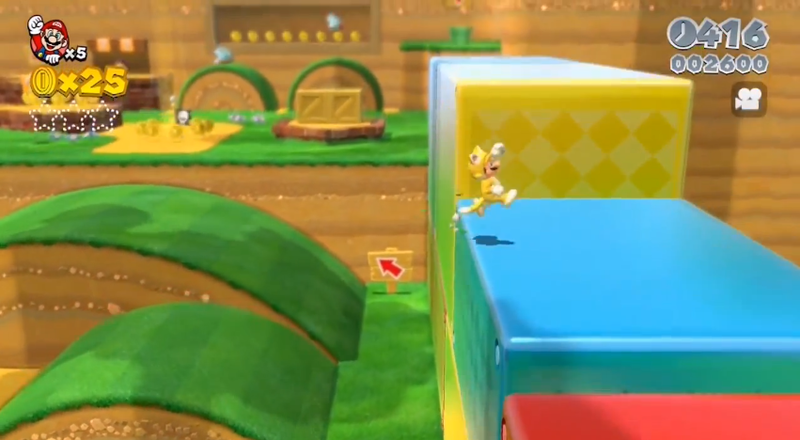 With linear levels, you know exactly where you're going and can focus on platforming at a faster pace. Also, with less possible routes, the challenge and experience in each level can be better tailored to the designer's wishes, since they know exactly where the player will be at any given point. Since most levels have only one or two objectives, there can also be a wider variety and greater number of levels. That also means that you won't spend as much time retracing your steps by exploring each level multiple times like you would in more nonlinear Mario games. Of course, linear level design also means that you won't be able to be as creative with how you get to the goal. multiple times; even more so if you didn't know where you were going. On the other hand, multiple routes were possible. My aim in writing this is for you, the reader, to understand that while each style of 3D Mario has its minor advantages and disadvantages, the differences are, for the most part, neither good nor bad, but simply different. It's understandable why fans of Super Mario 64 and Super Mario Sunshine would be upset by the change in formula, but "3D Mario" is not a unified series. Super Mario 64 is different from Super Mario Sunshine which is different from the Galaxy games which are different from the Super Mario 3D games, and none hold any obligation to follow the patterns set by the others. It's fine to prefer one kind of 3D Mario over another - it would be strange if you didn't - but know that personal preference does not determine a game's overall quality. I'd also like to note, now that Mario has returned to his platforming roots and Rare isn't developing N64 games any more, it sure would be nice if another franchise picked up the adventure-genre slack. Make it happen, Nintendo! 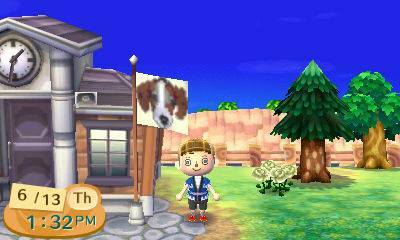 As in previous Animal Crossing titles, New Leaf allows you to design your own patterns for clothing, flags, displaying on the ground, and more. But you already knew that, right? I'm here to add my creations to the ocean of designs already loose on the internet. I'll also update this post if and when I make more designs. My first designs are for fans of Twitch.tv! You too can make cool designs with these handy tools. How does one write a review for a game whose main appeal is its intriguing and twisting plot without spoiling said plot? Since book reviews are a thing, I guess it's possible, so I'll do my best to explain why anyone who enjoys a good story needs to buy this game. Zero Escape: Virtue's Last Reward is a visual novel with puzzle segments that are reminiscent of Myst interspersed between the dialogue. It is a sequel to 9 Hours, 9 Persons, 9 Doors (DS) which followed the same format of storytelling combined with gameplay. While the plot of Zero Escape doesn't directly continue from that of 999, it is advisable to play 999 first as there are a few references to it. The story is presented as text accompanied by animated characters which appear over mostly static backgrounds, a step up from 999's character portraits. Also a step up, the dialogue is voice acted, quite well I might add, in both English and Japanese. 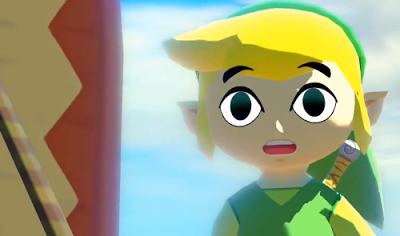 [Note: The European and Japanese versions do not have English voice acting.] The voice acting is not present in the puzzle segments of the game, but since the majority of your time will be spent in the novel portions, it isn't too big of a deal. Along with the generally solid English voice acting, the English translation is exceptionally good and does a fantastic job of taking the original dialogue and making it sound natural in English. 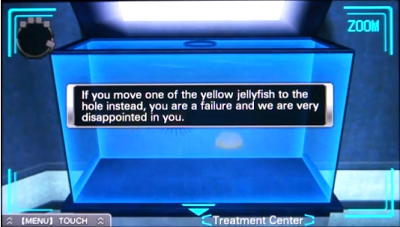 After playing Zero Escape, you won't be able to help but notice how much other game translations fall short in comparison. Similar to 999, Zero Escape puts you and a bunch of strangers in what's called the "Nonary Game". It's a game of life and death, trust and betrayal, in which everyone is attempting to escape through the door marked with a "9". The method of escaping differs from that in 999 in that now you'll be competing for points after each puzzle segment by playing a game based on the prisoner's dilemma. 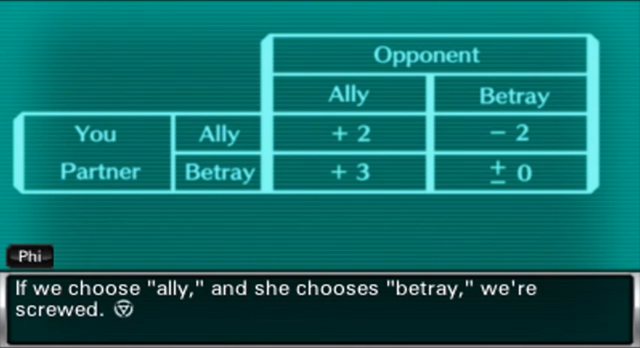 In this game, you have to choose whether to ally with or to betray the person you get matched up with. Betraying can get you out faster, but only if they ally; allying and being betrayed results in you losing points. If everyone chooses to work together, everyone can escape, but that isn't easy to do with a bunch of strangers, some of whom may even be responsible for abducting you in the first place. 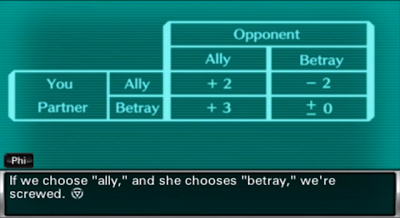 Each of these choices to betray or ally splits the storyline, resulting in 24 endings which range from bad to good to best. Thankfully, you won't have to start from the beginning each time you want to see another ending; the game offers a view of the branching timeline which lets you skip to any point you wish and see how things would have played out if you had chosen differently. At first, it seems that this removes any sort of negative consequence for choosing "wrongly", but you'll find that it's a very welcome addition and an absolute necessity if you wish to see the true ending. Even if I describe the basic concept of the story, I can't really do it justice. What you know at the beginning of the game is hardly anything compared to all the mysteries and twists that you'll find out along the way to the end. Every character has a story and each clue toward finding out who is responsible for abducting you all and what their motives might be brings up more questions and surprises. By the end, I can assure you that almost all of your questions will be answered, although it leads to a sequel which is in the works. 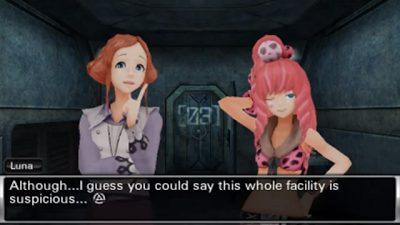 Still, even with a tie-in to a sequel, Zero Escape's ending is fairly conclusive and not at all unsatisfying. Oh yeah, there are some puzzles. Each puzzle segment has you using various objects and clues you find around the room to solve things. In the 3DS version, the touch screen is used to examine objects and interact with the various challenges. The puzzles vary in difficulty, but are usually just challenging enough to be satisfying without resorting to being unfair. Each puzzle segment also has a second, secret solution which unlocks supplementary notes on various details relating to the plot which are often interesting or amusing. If the puzzles prove too difficult, you can switch to easy mode at any time (hard is the default) and the characters will give you hints. The game keeps track of which puzzles you've solved on hard though, so you'll want to stick to hard mode if you want bragging rights (not that anyone can stop you from going to GameFAQs). The puzzles do feel a little tacked on to the story at first, as if to force it into the gaming medium, but they offer a nice break in the action and, like everything else, are explained by the plot. I have only played the 3DS version, but there were a few glitches worth noting. For one, there were a few instances where the game lagged, particularly when interacting with puzzles. The times when the game lagged weren't especially complicated from a processing perspective, so it's strange that this would occur. There were even occasions during my 30+ hours of playing where the game froze entirely, which could have been devastating if I hadn't saved recently. Worse than that is the saving bug, which seems to occur in particular rooms after not having saved for a long time and results in the corruption of the save file. If this happens, you'll be forced to start over from the very beginning. It's a nasty glitch, so for that reason alone, I'd recommend going with the Vita version if at all possible. Otherwise, be sure to take precautions to avoid the glitch in the 3DS version. 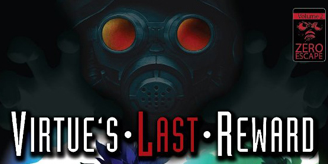 If you enjoy good stories, particularly suspenseful scifi ones, you need to play 999 and Zero Escape. It has a better story than most books I've read and the abilities offered by being playable on 3DS and Vita to make decisions, interact with the puzzles, and to see and hear the characters, make it clear that what they call "games" can and do offer an effective mode of storytelling in ways that would be impossible in other mediums. 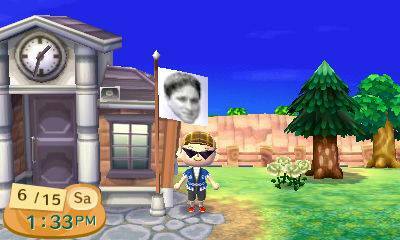 In past iterations of Animal Crossing, quality custom designs were a hot commodity. You could use them for shirts, hats, flags, wallpaper, and more, but making them well required meticulously coloring each pixel. Furthermore, sharing patterns required that you connect with the friend and give them the pattern. 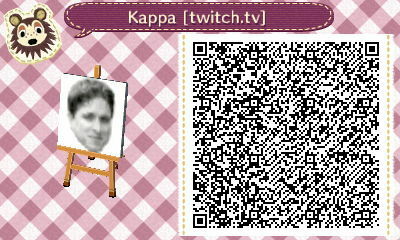 Thankfully, New Leaf now allows you to share patterns by QR code. Even better, by reverse engineering the code, there's already been an iOS app made that can convert images to Animal Crossing designs and can generate a corresponding QR code so that all you have to do is scan it. 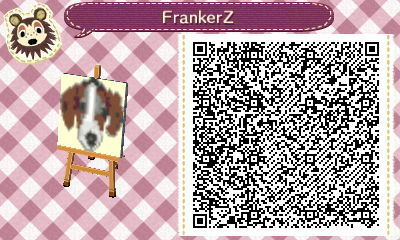 The app is free, so check it out: QR MyDesign Assistant for Animal Crossing 3DS by Bochen Technology co. Ltd. If you know of any other programs for PC or online that do the same thing, let me know! And feel free to leave any QR codes you've generated using this app in the comments. Here are the ones that I've made.